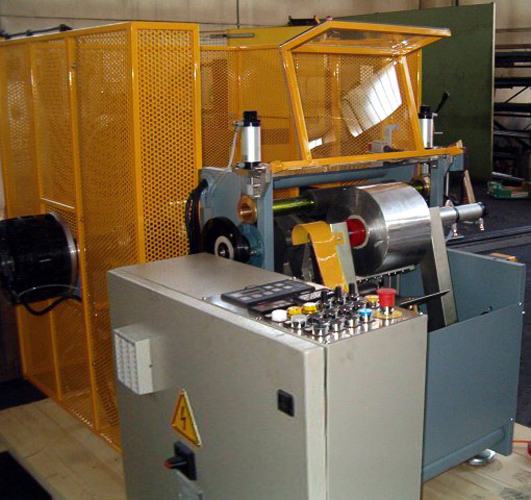 Born as highly specialized tooling shop works and assembling units for metal and rubber tools, winding and slitting machines manufacturer. 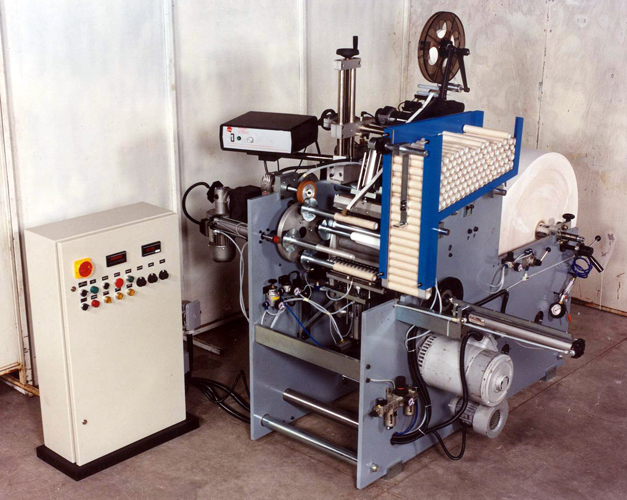 Proceeded with engineering projecting of rewinders, rolls boxing units, moulds and basic eccentrical press. 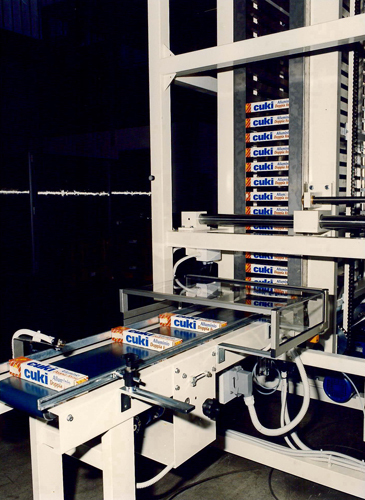 Enlarged by rolls packaging top loading version with (patented) in-line blade edging application (self-adhesive or glued) high performance 3-4 stations rewinders so as cartoner (side loading), bag makers. 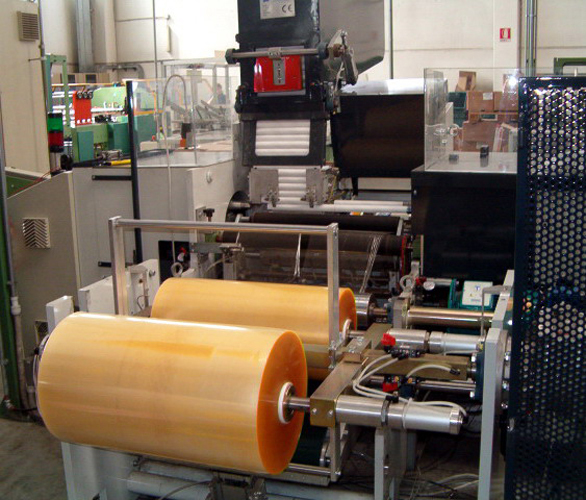 rolls packaging through shrink wrapping and flow packing. independent high performance hot melt glue blade edger. 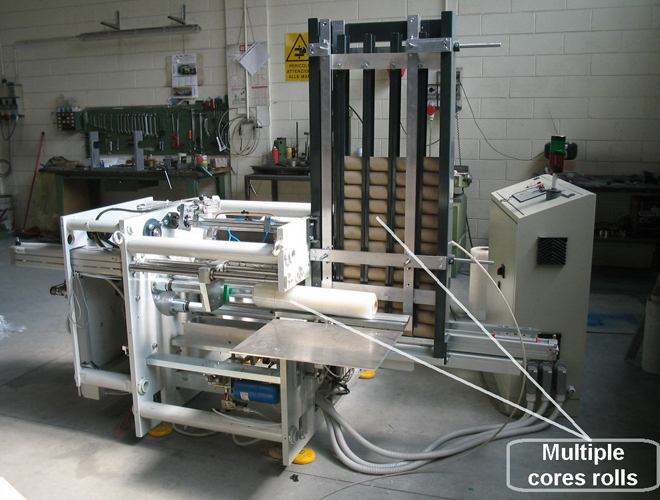 automatic cores feeding multi re-reelers plant. 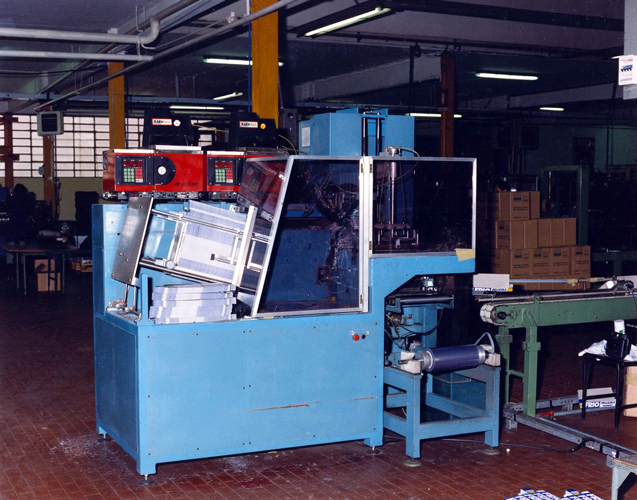 the world first in the market electronic servo press for wrinkle and smooth-wall aluminium foil containers and paper trays. 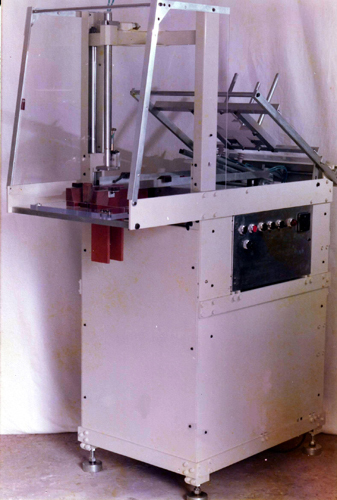 top version rewinder 5 and 6 stations with or without servo drives and tension control. 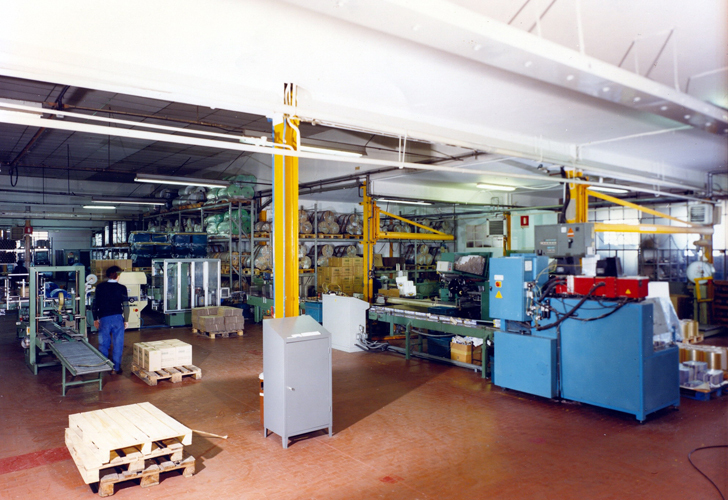 high performance multiline plants up to 30.000 boxed rolls/hour and 20.000 containers/hour. 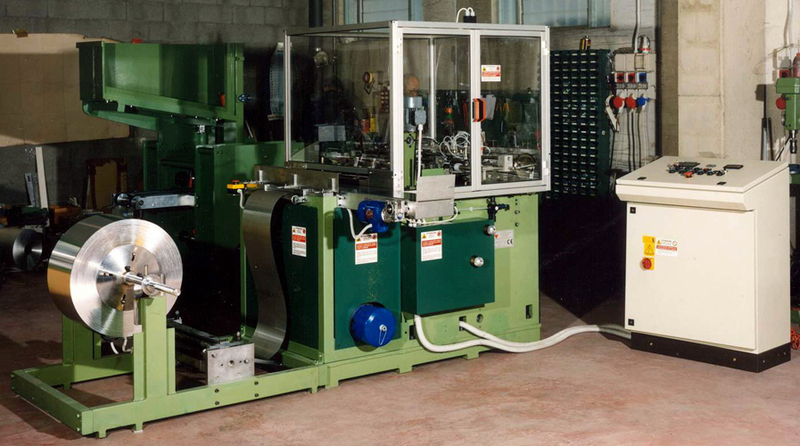 servo press for aluminium/paper/laminates containers. hot melt blade edger up to 400 strokes/min. 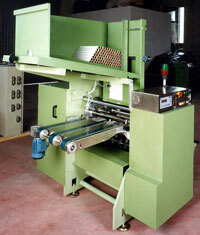 dual box packer simultaneous either for household and catering rolls. 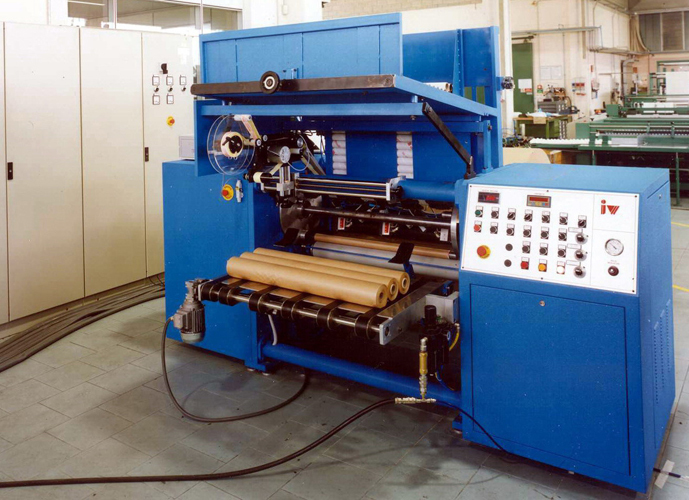 rewinders double roll up to 1000 linear mt./min. 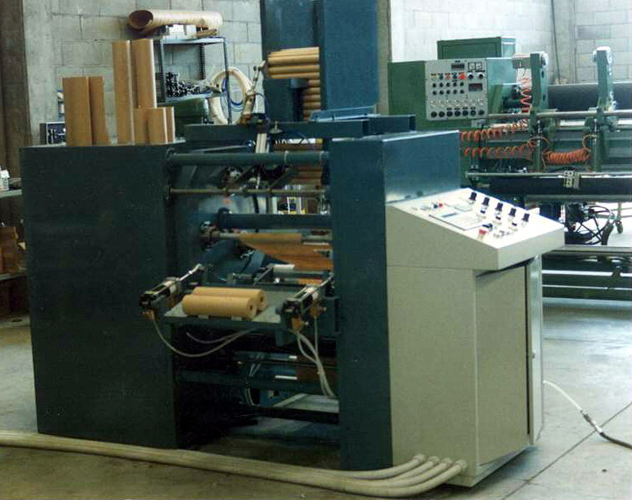 Born the very first rewinder engineered by the old family pioneer several years before the official opening of its own company. 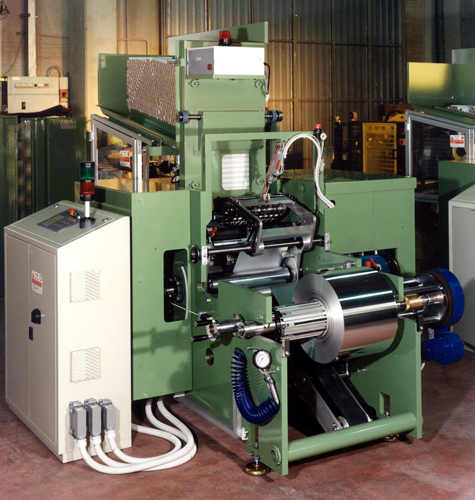 - rubber/aluminium tools and basic press. 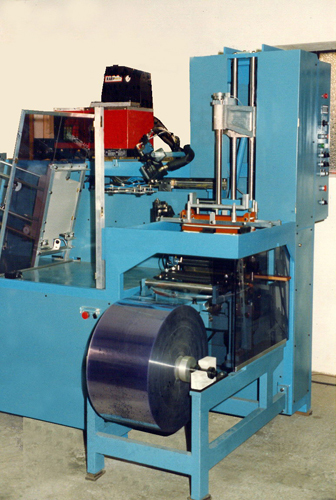 - automatic aluminium foil and gift paper rolls rewinder. - basic automatic boxing machine (side loading). 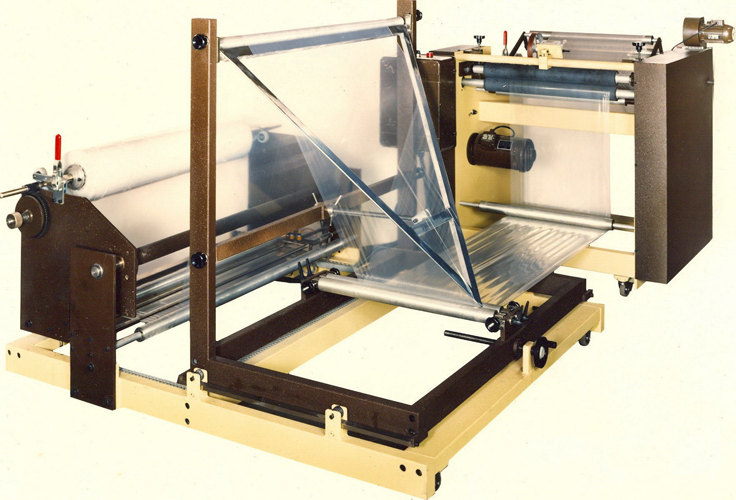 - rewinding and centre folding unit. 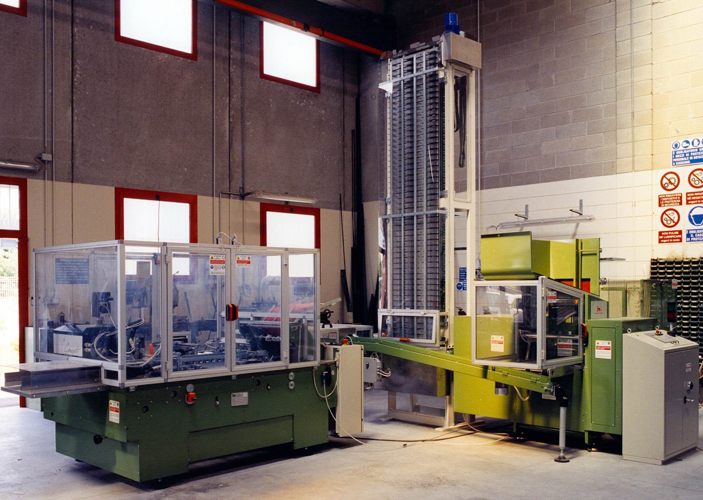 - vertical forming (top loading). - metal blade edger (thin plate). 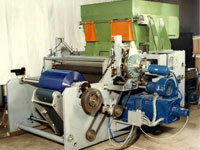 - "in-line" plastic blade edging group. 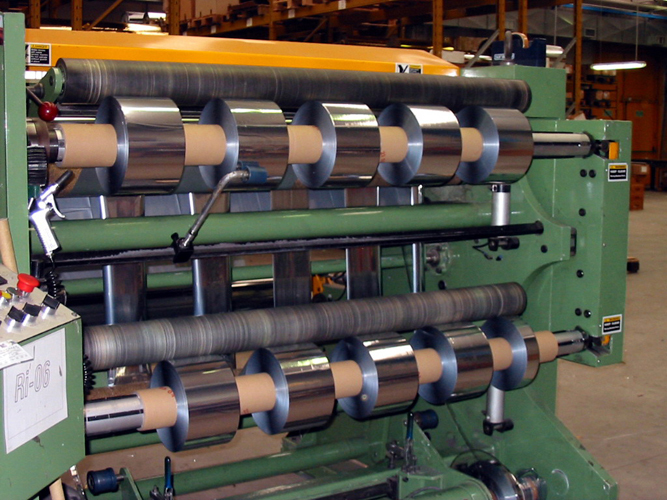 - aluminium foil institutional bulk rolls rewinder. 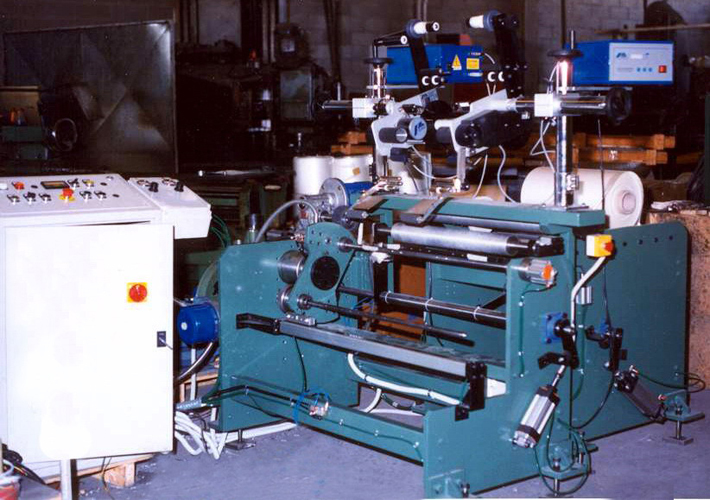 - rewinder with hot microperforation. 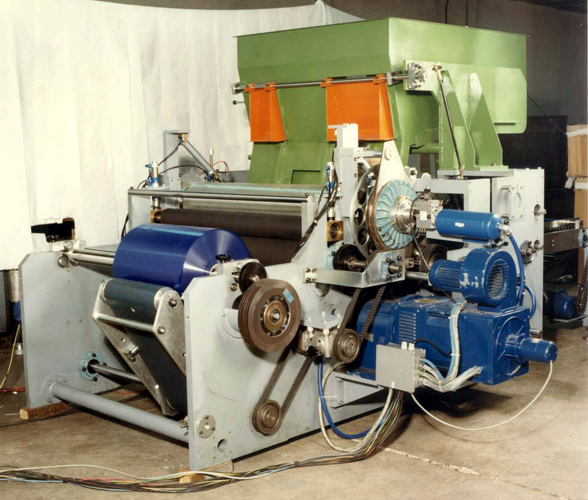 - 3 motors duplex slitter rewinder. 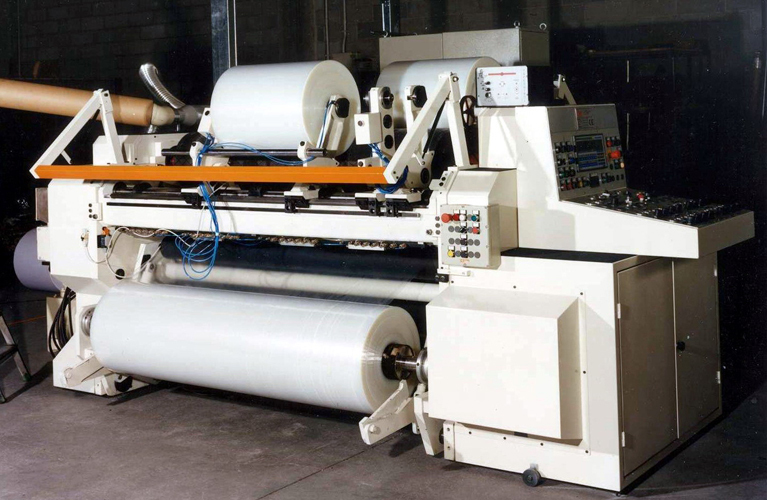 - household rolls box packaging line (multi rewinders). 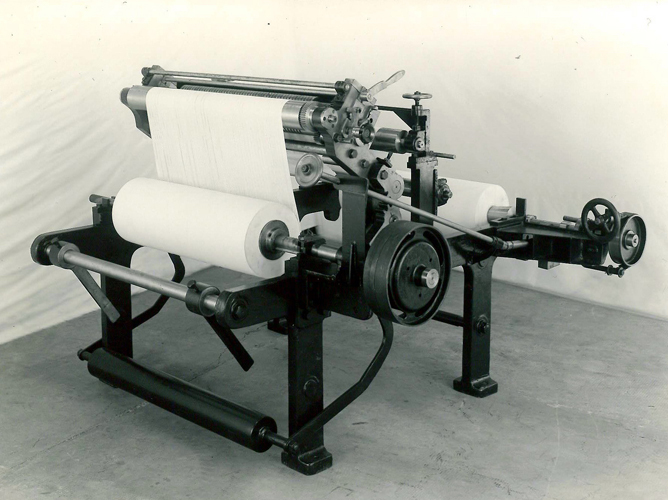 - automatic fax rolls rewinder. 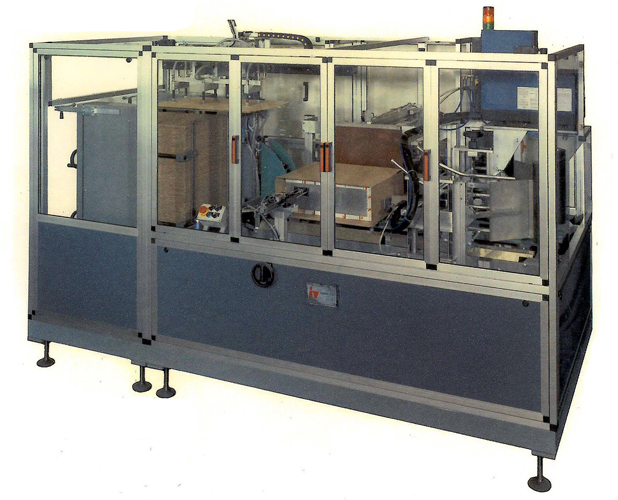 - box forming machine start turret version. 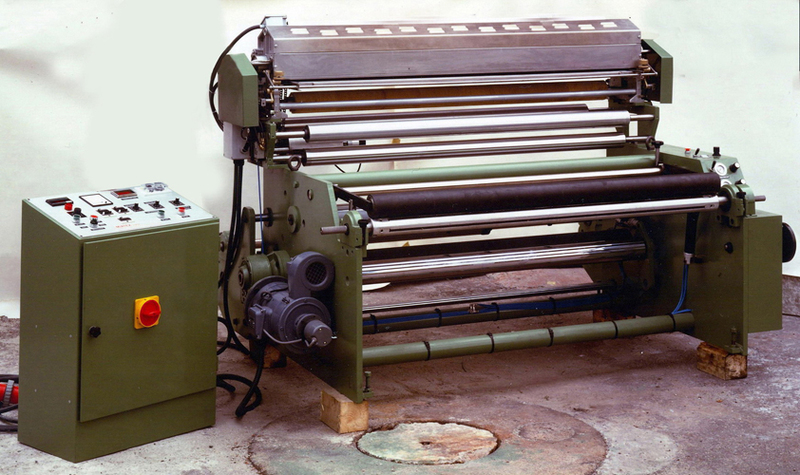 - automatic rewinder household rolls (new generation 3-4-5 stations turret). - automatic box forming machine with in-line plastic blade (gluing) edging device. 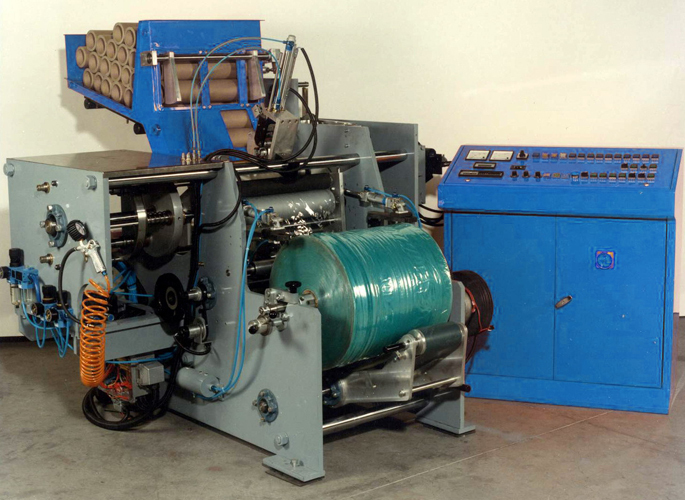 - central drum slitter rewinders. 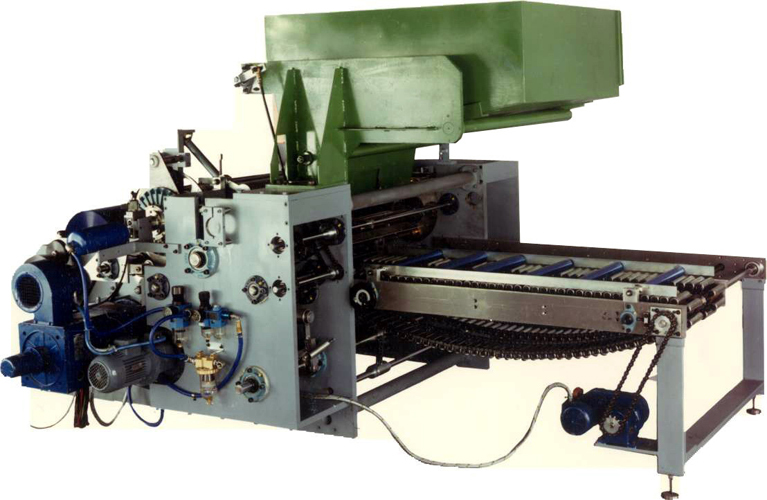 - automatic aluminium foil blade edging machine by riveting. 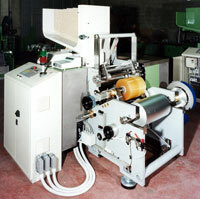 - 3 and 4 stations shafted turret rewinders for catering rolls with rectangular label. 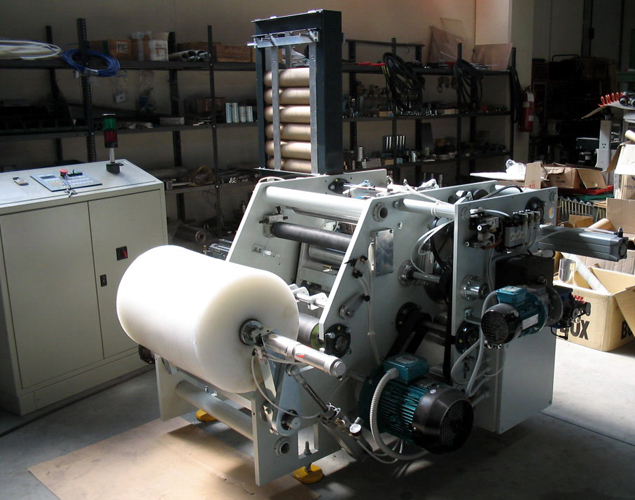 - automatic paper rewinder (food and industrial uses). 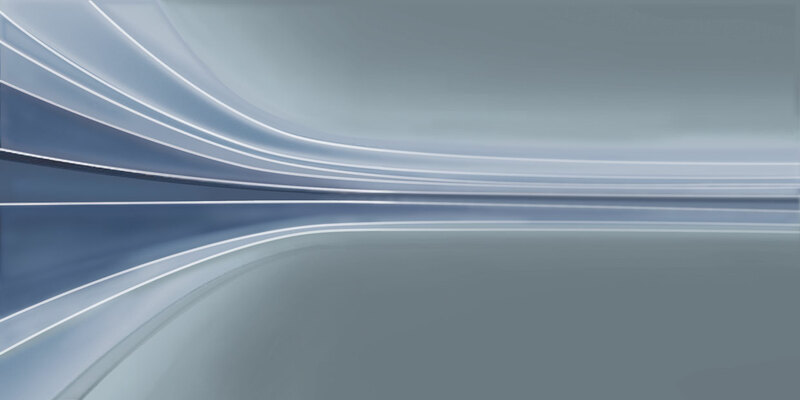 - first cling film easy rolls opening device through clamped arrow finishing. 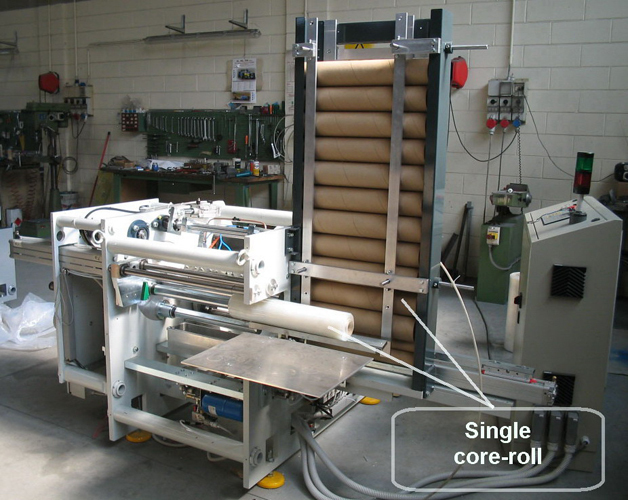 - unlabelled household rolls conveyor and dedicated cartoner. - geometrical embossing unit and embossed end roll message (both in line with rewinder). 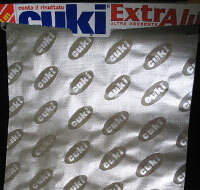 - household rolls film packaging through shrink wrapping. 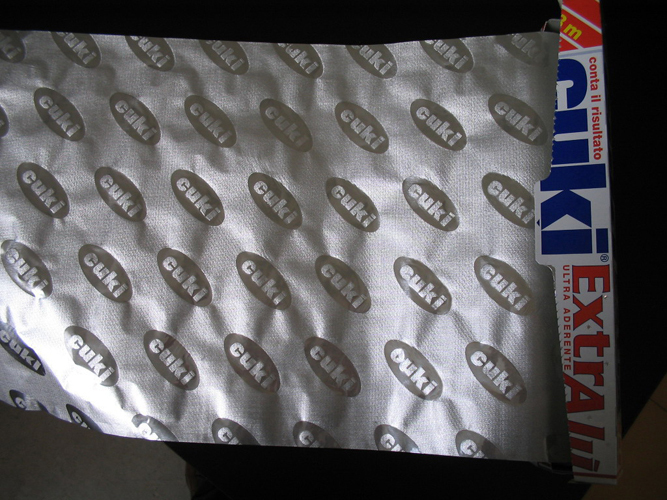 - aluminium foil micro-embossing group in line with rewinder servo controlled. 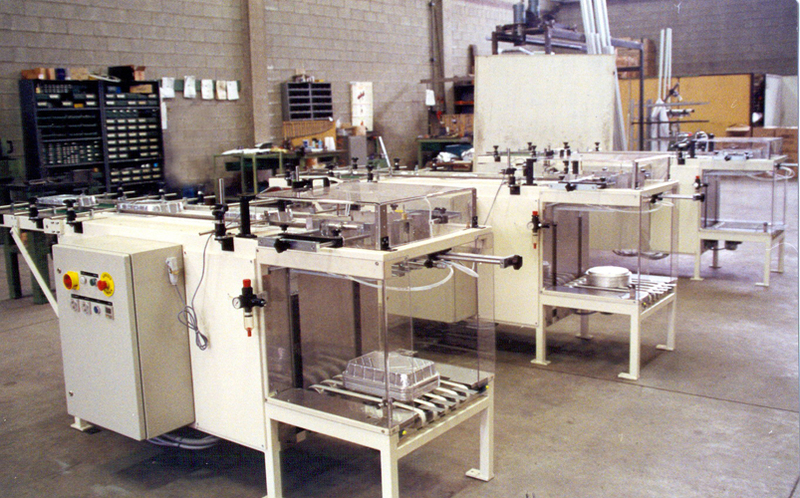 - automatic aluminium containers stacking units. 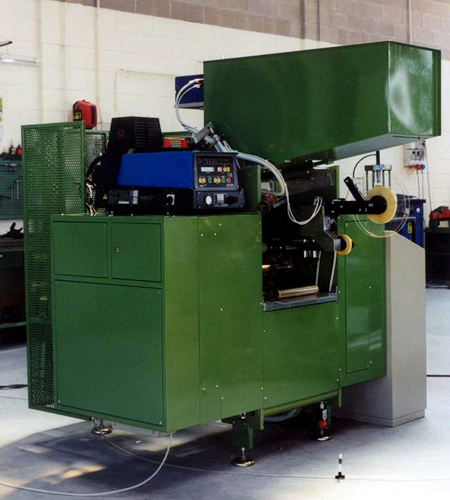 - cores bottom loading rewinder with double station unwinding units. 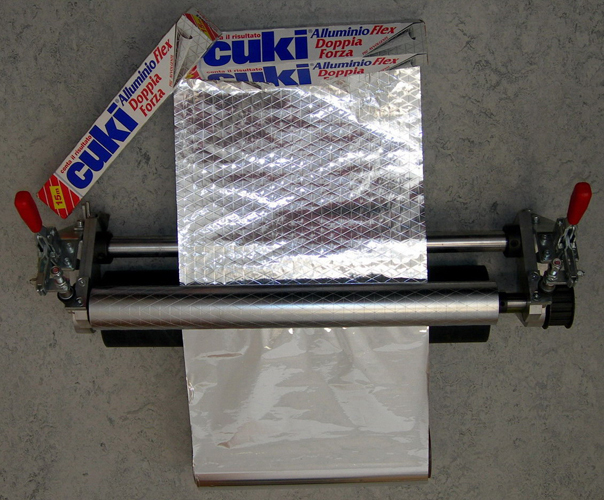 - aluminium foil slitter rewinder. 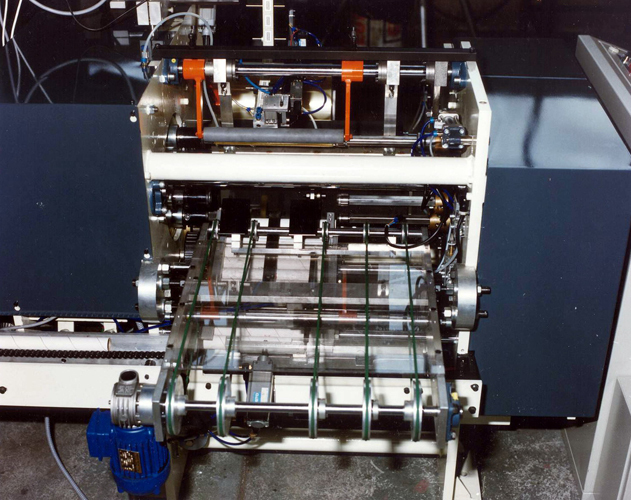 - glue-less starting system through mechanical embracing unit. 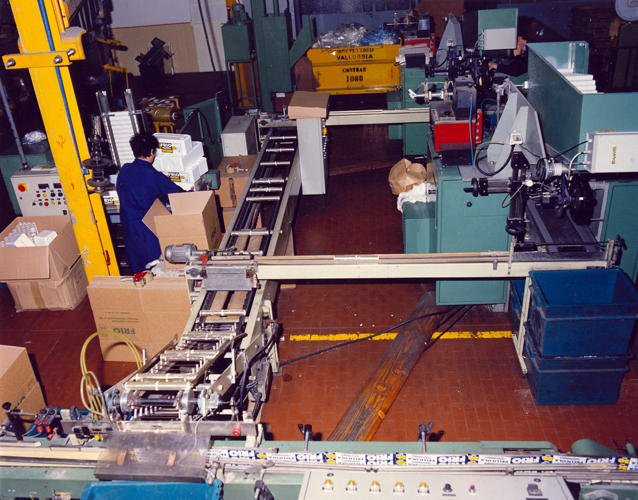 - containers packaging lines through carton strips bending and shrink wrapping. 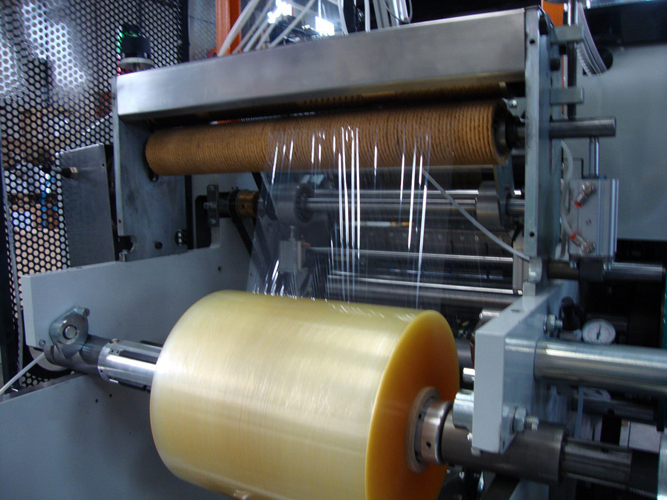 - automatic high performance stretch rewinder. - stretch film net machine (macro-perforator). 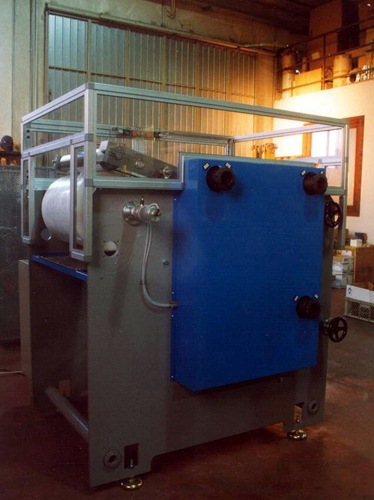 - flow packing household rolls packaging line. 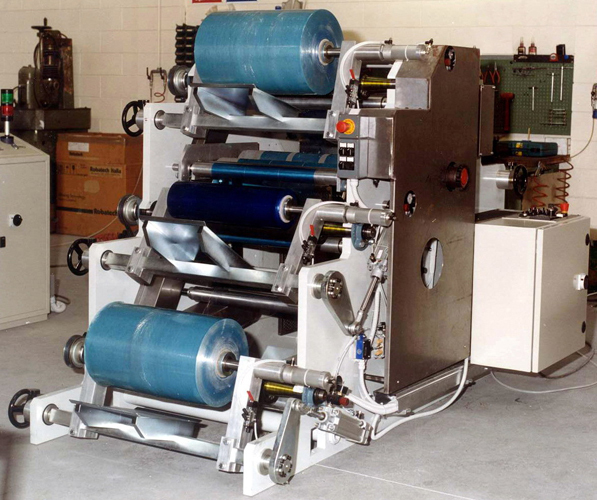 - rewinding-packaging with in line rolls accumulating tower. 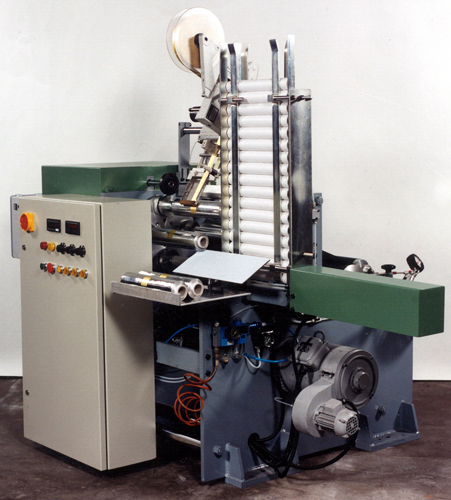 - large size automatic paper rewinder. 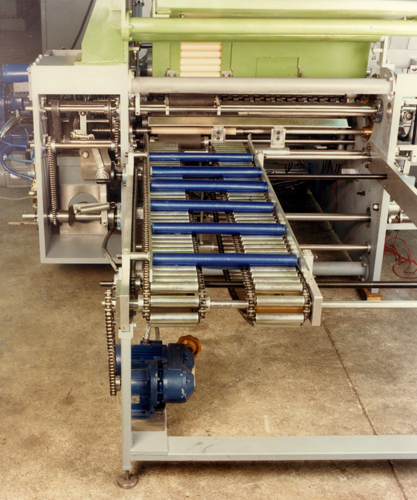 - 6 stations rewinder with double compact unwinding stations. 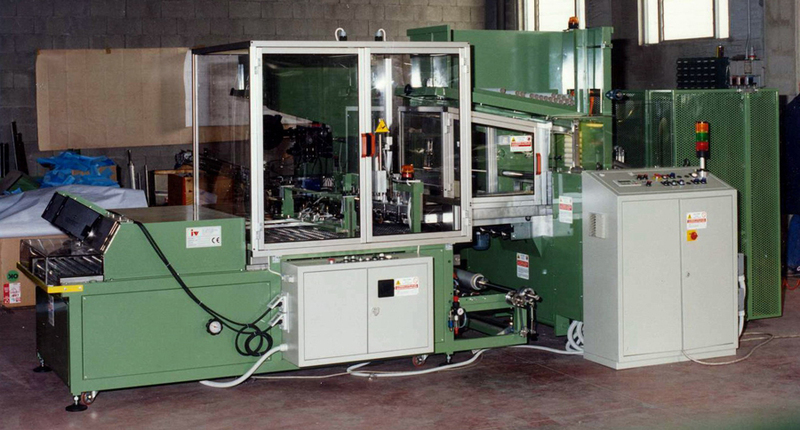 - the unique full automatic stretch and pre-stretch slitting rewinding machine, 4 shafted stations and double heads version. 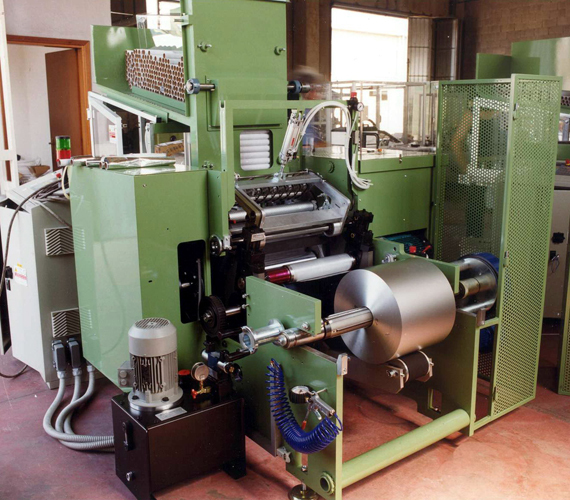 - multi purposes rolls packaging line combined version (boxing/shrink wrapping/flow packing). 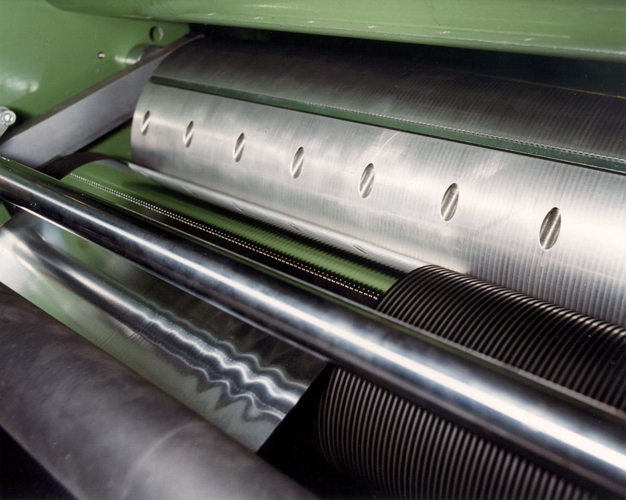 - in line perforating pre-cutting group. 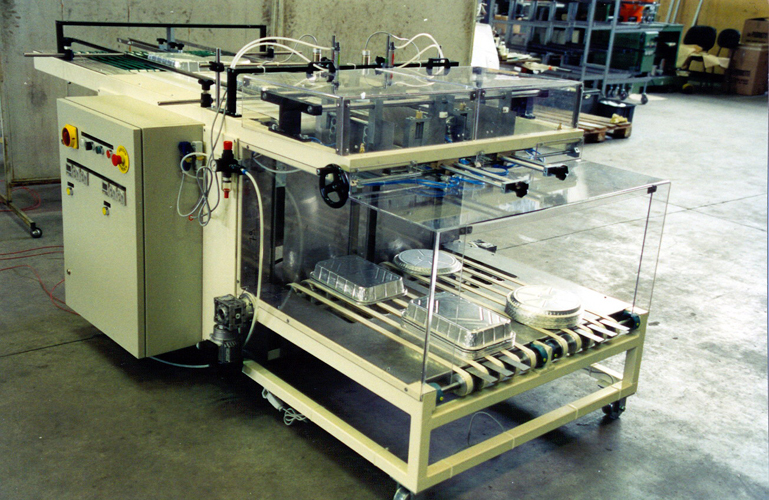 - automatic high performance case packers. 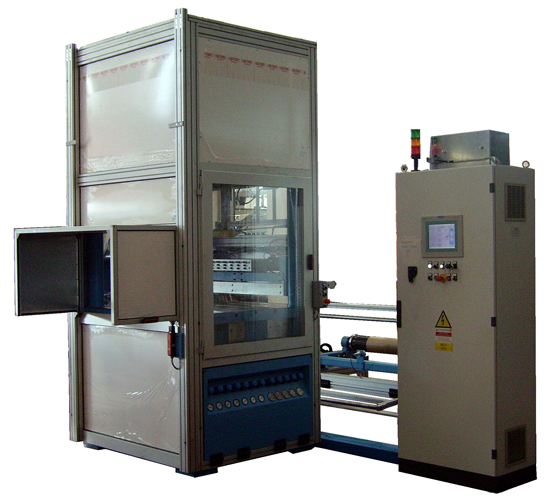 - high production plant with multi-rewinders, rolls accumulating units, cartoner, case packer and cores feeding plant. 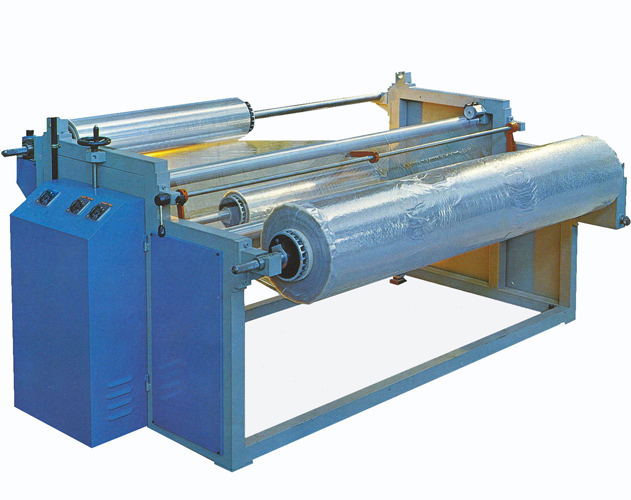 - 6 stations household rolls cling film rewinder with automatic turret unwinder for jumbo roll changing (special version with double split rolls). 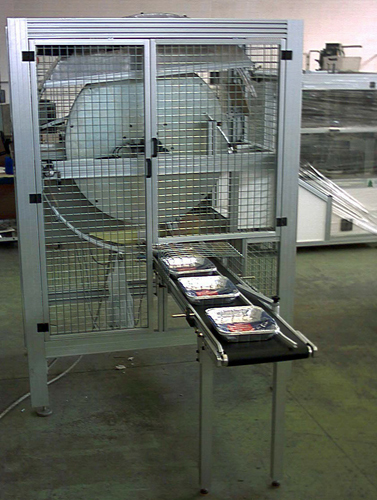 - servo press for aluminium foil containers and paper trays. 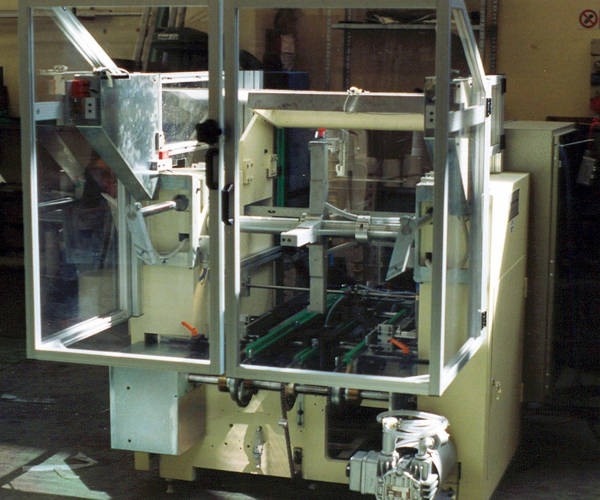 - compact top loading box packaging line. 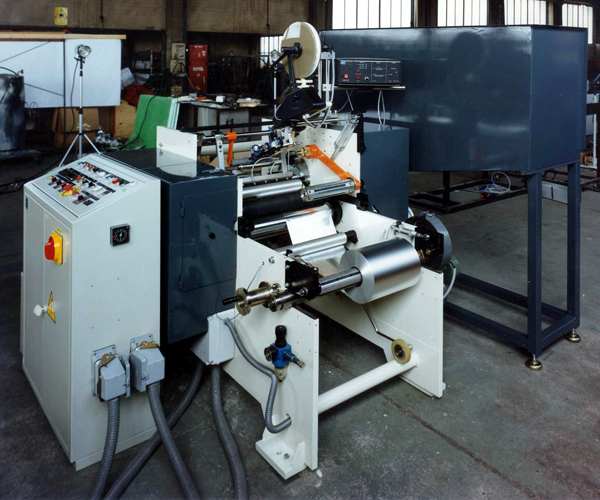 - the fastest stretch rewinder, 4 x 300 mt. rolls. 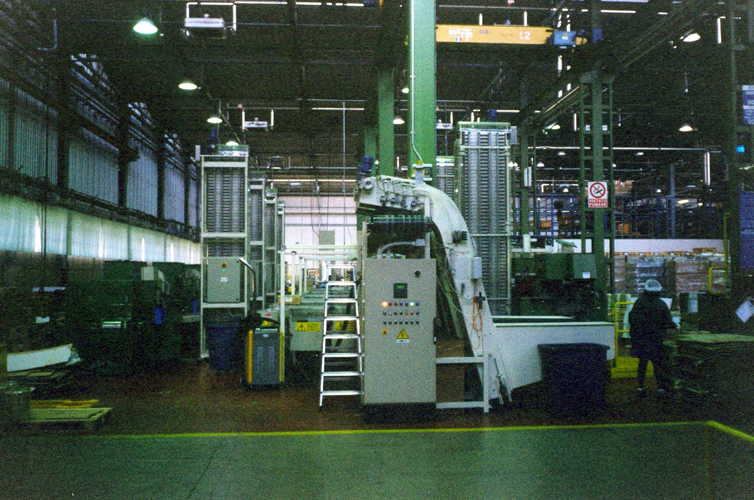 - automatic in line household boxes accumulating tower (between cartoner and case packer). 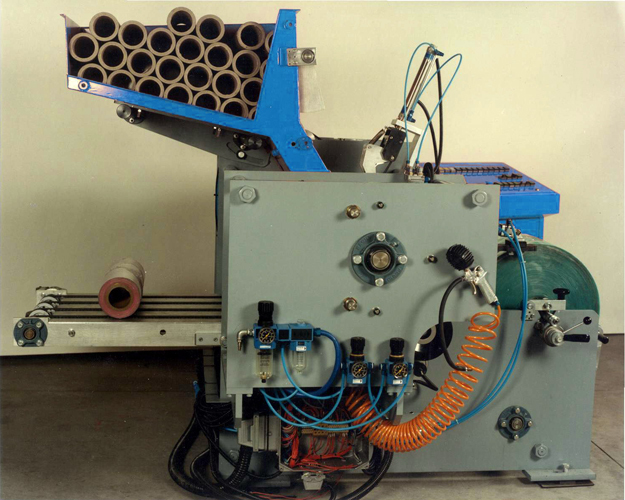 - brushless containers stacker and easy mould unloading device. 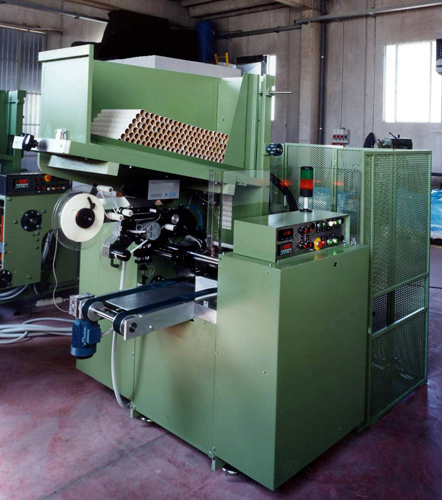 - cold micro-perforating unit in line with automatic rewinding machine. 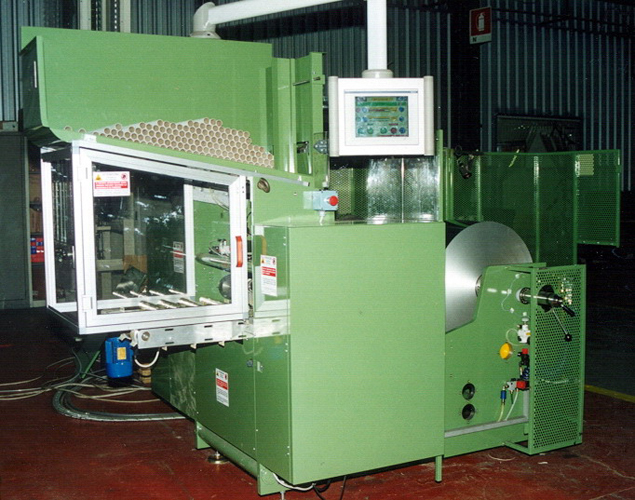 - admiral of our aluminium foil containers servo press, 1150 mm. 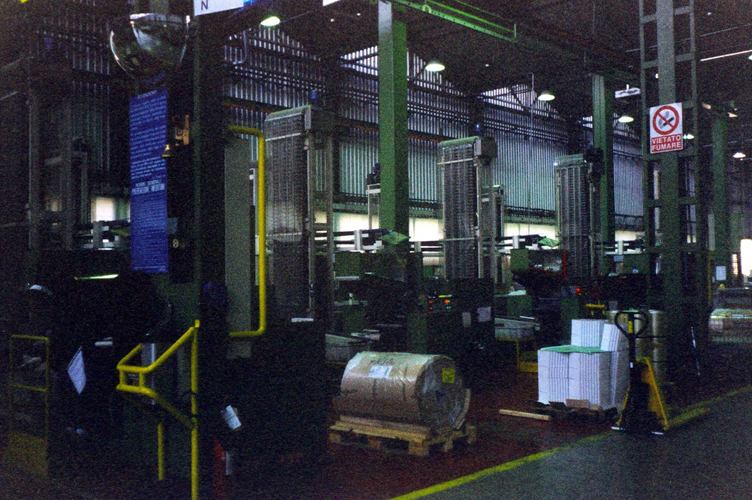 material passage width (1508x1170 mm. mould bed plate). - the fastest blade edger for multi materials blade application (up to 400 blades/min.). 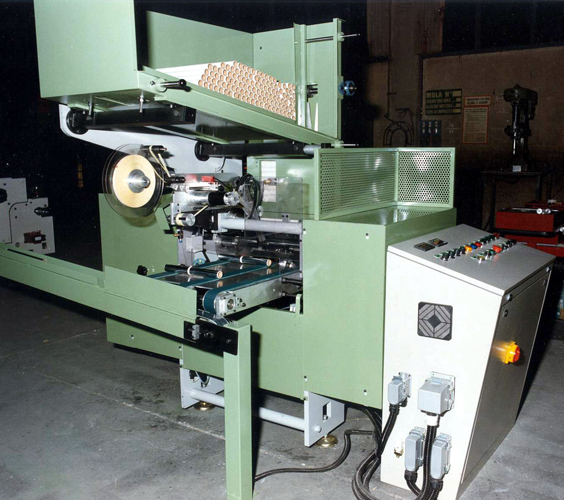 - combined versatile carton erecting/closing machine either household/catering. 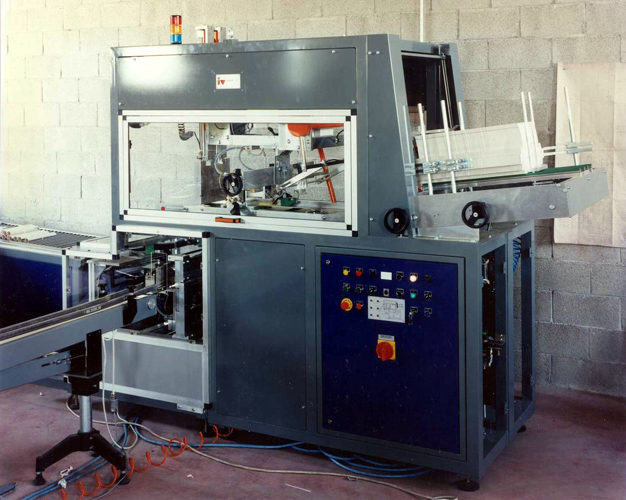 Some amazing new machines are coming into production and you will be informed soon!